Apply in minutes and receive funding in hours. No paperwork, no hidden fees and no branch visits. Using the latest technology, we make decisions based on your real business performance. Repay as soon as you like and save. No early repayment fees, ever! We are experts in what we do and provide the highest level of security. Apply online for free. We just need some basic details about you and your business and aim to get you approved in minutes. Or call us on 087 943 2381 and we can assist you in getting your application underway. You will be provided a decision in minutes – no paperwork, no waiting, no commitment. Our fees are transparent and easy to understand so that you know exactly how much needs to be repaid. Business funding of R20,000 to R1,000,000 - we aim to have the funds in your bank account within 24 hours. Repay in standard installments over 6 months. Or choose to pay early with no penalty fee! We've simplified the lending process with our 6 and 12 Month Plans. Every month you pay back 1⁄6th or 1⁄12th (depending on which plan you choose) of the total advanced amount plus the monthly cost. Monthly Costs are 3% - 10% of your advanced amount for the first 2 or 4 months (plan dependent) and 2% for each of the remaining months. You can pay early and save. * Based on average Lulalend Score and credit history — no hidden costs and no early repayment fees. I find Lulalend very convenient. 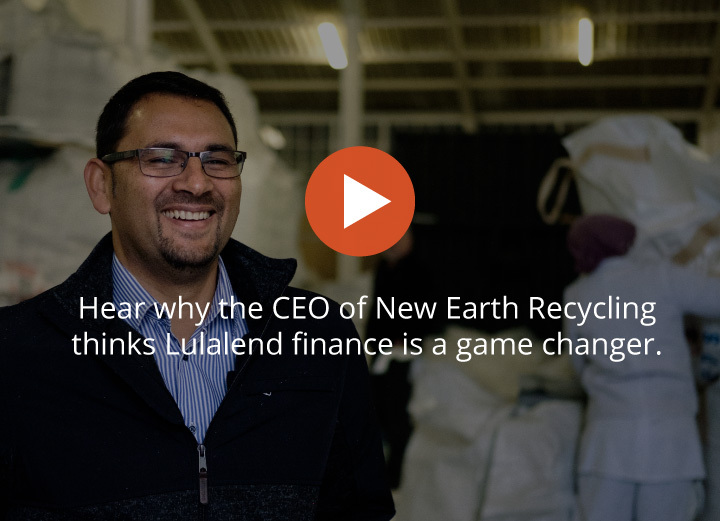 I don't have time to wait in queues or at banks, so with Lulalend there is no waste of time. Their application is quick and seamless and their funding has helped me bring more stock in when I needed more shoes. I would definitely recommend Lulalend to other business owners. Access to this type of funding is a game changer because it allows you to bridge that gap and leverage yourself into that next stage of growth. Get approved for up to R1,000,000 today. No fees, no commitments. Get approved for free, then decide.